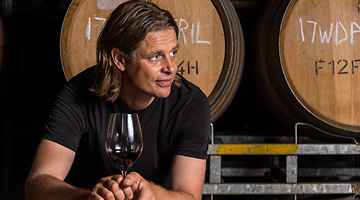 Dan Falkenberg is a fourth generation Barossa grape grower. As a boy he grew up helping his parents in the family vineyard after school, on weekends and during school holidays. What started as a family chore over time developed into an occupation that Dan has become extremely passionate about. After leaving school he took up a position with Southcorp at various sites including the High Eden vineyards of the picturesque Eden Valley. Working with Southcorp also gave Dan the opportunity to spend time as a cellar hand, in the bottling hall and champagne cellar. This experience gave him fabulous insight into the requirements of the winemaker and a firm understanding that high quality fruit is essential in order to produce premium wine. Dan has tertiary qualifications in viticultural management and after 23 years gaining experience in all facets of vineyard management and the wine industry is an active leader in the Barossa viticultural community. He has been the recipient of a number of grants to investigate native grasses and bio-diversity. He is involved in various working groups and presents and publishes regularly, particularly in the area of bio diversity, native grasses, as well as water and vine management. Dan has managed the Eden Hall vineyard and viticultural program since 2011. He has implemented extensive viticultural practises including bio-diversity programs, mulching, mid-row native grass improvements and more precise water management. These carefully instituted refinements have lifted the quality of fruit production and provided more consistent yield across each block and are gratefully acknowledged by the winemaking team. Dan is a key figure in the Eden Hall team. He brings experience, vision and passion so that you can enjoy great wines from the beautiful Eden Valley. Phil’s winemaking journey is extensive. Not only is he from one of the most famous winemaking families in the country, (his father was the late great Peter Lehmann), he has a wealth of experience covering all areas of the industry. Time spent in the Napa Valley, South Africa and Burgundy set up his journey, before winemaking stints at Yalumba, Peter Lehmann, Teusner and more recently WD Wines cemented his position. He lives in the Eden Valley and besides running his own family vineyard and wine brand “Max & Me” he shares many of our philosophies and values. Family, integrity, respect and hard work. Phil was the Boy Dux at Nuriootpa High School before gaining a degree at Adelaide University in Bachelor of Electrical and Electronic Engineering with Honours. Following this he completed his Graduate Diploma in Oenology. 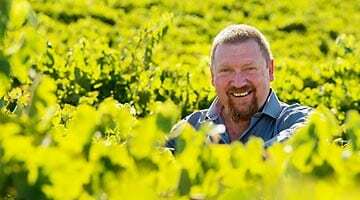 Phil was a finalist in the 2017 Gourmet Traveller Wine Winemaker of the Year, is a regular wine show judge and has a comprehensive knowledge of the industry from the vine to the bottle, including managing his own 25-acre vineyard in the Eden Valley. Eden Hall is proudly family owned and all fruit is Estate grown. Somehow David and Mardi Hall managed to balance professional lives and running the Avon Brae property in the Eden Valley along with its sheep grazing, viticultural and winemaking activities up until the end of 2014. 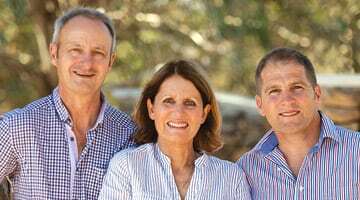 For a number of years David and Mardi had hoped to reach a stage where they would be able to enlist the experience of Mardi’s younger brother Graeme Thredgold in managing their expanding wine business. In 2015, Graeme enthusiastically seized the opportunity to take control of the Eden Hall label which had already gained many plaudits and recognition in the marketplace. Eden Hall, as a family owned boutique producer in the Eden Valley, is serious about maintaining excellence, with a long term vision to the future. Accordingly we were pleased to welcome Graeme into our family business and he brings with him a vast experience in the liquor industry. In 1992, Graeme began working for Lion Nathan and the Toohey’s Brewing Company as a sales representative, before moving to SA Brewing Company as a Sales Manager in 1993. In 1998 he took the opportunity to enter the wine industry as National Sales Manager for Andrew Garrett Vineyard Estate, before moving to Tucker Seabrook as State Sales Manager SA in 2000, where he was exposed to many premium Australian and offshore wine brands. Following on from Tuckers he was International brand manager for Barossa Valley Estate and most recently General Manager of Chain of Ponds Wines in the Adelaide Hills. Graeme shares Mardi and David’s strive for excellence and together they have a clear vision to a bright future in the high country of Eden Valley.